For the last six years I’ve had a front row seat where I get to celebrate the triumphs of our students as well those of my husband and our sons. 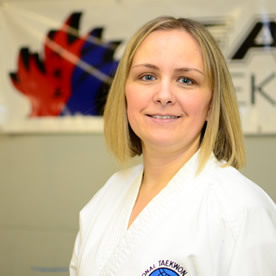 I play a supporting role at the Dojang, assisting with registration and welcoming members, receiving monthly payments, scheduling, event planning, and more. Call, email, or stop by and visit us to learn more about Family TaeKwon-Do.